In 2013 I travelled to India, a place I had been trying to reach for over a decade. Like many others before me, I had gone to India seeking meaning, and to deepen my practice of yoga and meditation. Once there this search felt virtually impossible, the frenetic energy overwhelmed me. In an ashram on the bank of the Ganges, we were taught that the outer world reflects the inner world and that the practice of yoga never ceases. When I returned home and developed my rolls of film I discovered images of calm and solitude. 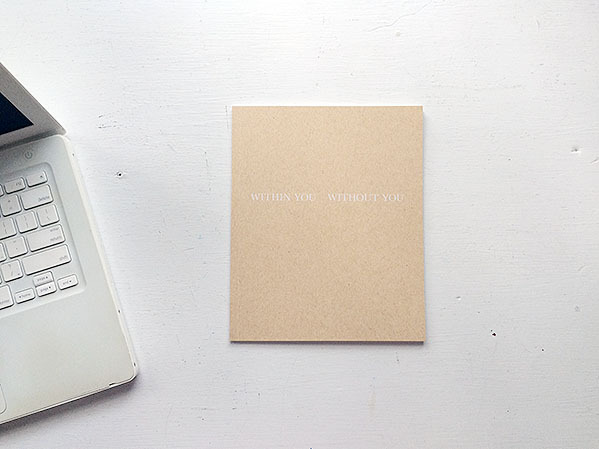 This book, ‘Within You Without You’ presents a meditation in 20 images. Published on May 12, 2015 12:20 pm.